As J.M. Maison, I write The Empty Nest Can Be Murder mystery series. 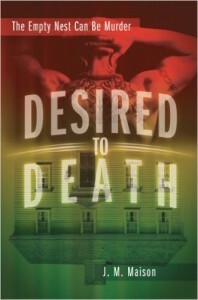 The first book in this series is Desired to Death. For anyone who has ever faced a life transition and wondered “What next?” Desired to Death answers with an irresistible mix of suspense and intrigue, humor and heart.